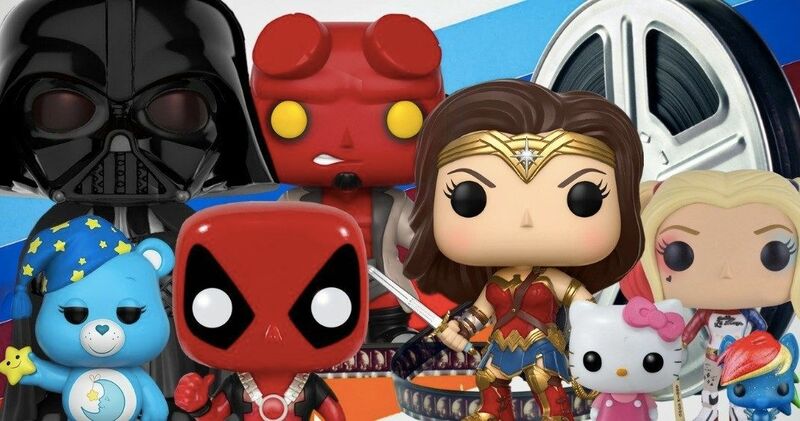 Warner Bros. is reportedly developing Funko Pop! the Movie which is set to begin production this year. The company behind the world’s most recognizable pop culture collectibles has been steadily gaining popularity over the course of the last decade or so and virtually every popular character from every corner of our culture has been immortalized in bobble-headed form at this point. It was only a matter of time before someone tried to turn the toys into a movie and, so it would seem, that time is now. We must caution up top that this is not coming from anyone at the studio, anyone associated directly with Funko or anyone that is connected to the alleged production. That said, a leak has surfaced on Twitter in the form of a board that shows off Warner Bros.’ upcoming production slate for their animated features. Projects we’re aware of, such as The Jetsons movie and Coyote vs Acme are featured, alongside an untitled DC Comics project. But also on the board is a slot for Funko, which, if this information is accurate, is already well into pre-production and will begin filming this year. This would make sense for several reasons. For one, Warner Bros. is also behind The LEGO Movie franchise, which has done exceedingly well for them thus far. Not only that, but other movies based on toys, such as the Transformers franchise and Trolls, have done quite well in recent years. So there is reason to think this could work. The leak also came with some alleged characters who will appear in Funko Pop! form. That list really gets to the heart of why this movie could work. There are so many characters under the brand that it could draw the attention of a wide audience. Also, not for nothing, but if this list turns out to be true, this would mark the first major crossover with Marvel and DC on the big screen. That would be a huge accomplishment. Warner Bros. owns DC, so no issues there. And Disney has granted Warner Bros. the use of some of their characters in The LEGO Movie previously, so there’s no reason to think that couldn’t happen again. At the present there is no indication as to who would be in the director’s chair for the movie, nor is there any word on who is penning the screenplay. If the project really is going to begin filming in 2019, that information will surely come to light sooner rather than later. But, again, until this is confirmed by the studio, don’t get your hopes up too high. We’ll be sure to keep you posted as any additional details on the possible Funko movie come to light. Feel free to check out the originals posts from Daniel Richtman’s Twitter below.